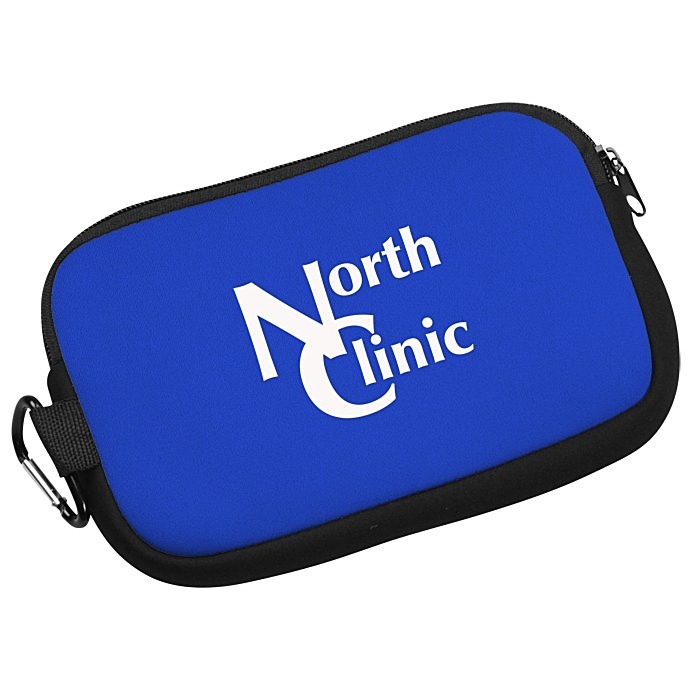 Let your logo stretch its legs when imprinted on these custom pouches! These personalized pouches let you have your essentials on hand at all times. Long lasting neoprene design is also lightly water blocking, keeping your necessities safe and dry. Easily clip to backpacks, purses, or totes with the carabiner included with this pouch. 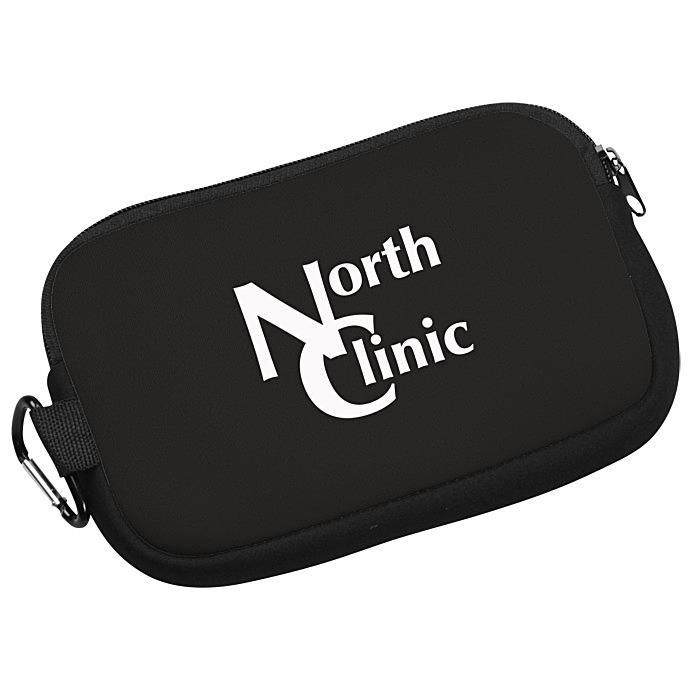 Zippered closure ensures your items stay secure throughout your trek! The imprinted sleeve comfortably fits Kindle Fire® or other similar sized tablets. Your price includes a one color imprint centered on the front with the carabiner to the left. 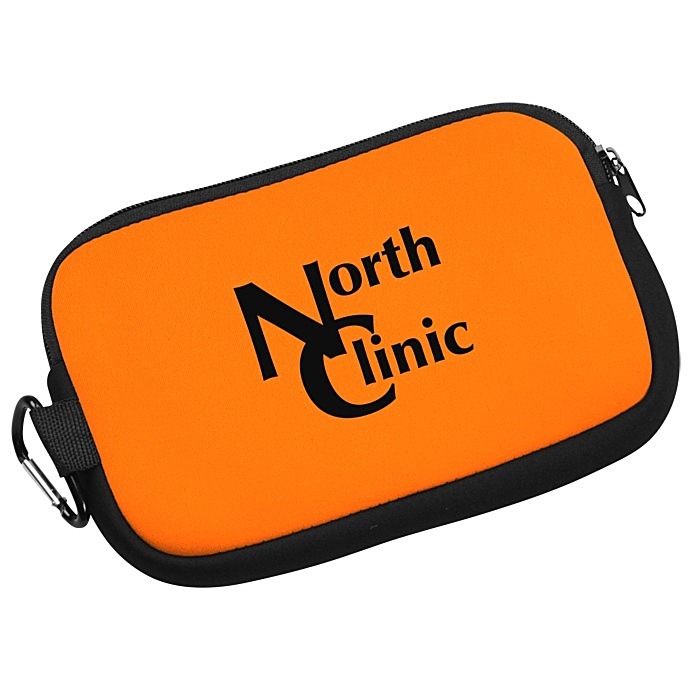 Additional imprint colors and locations available at an extra cost.